I come from a checklist culture. 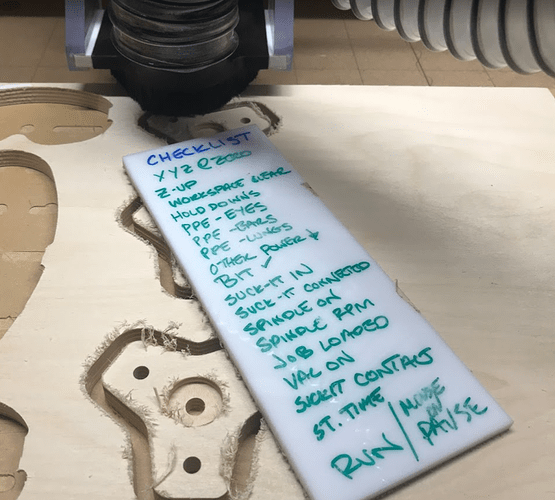 I’m also often using my Shapeoko after work or late evenings on weekends when my competence isn’t at a high water mark. As a newbie I’ve developed my own checklist. I’m wondering what others use to remember all the setup and safety steps you’ve implemented. Thanks… so it is obvious I need a couple checklists!